Chaos, mass panic at San Francisco performance or "Hamilton"
Home https://server7.kproxy.com/servlet/redirect.srv/sruj/smyrwpoii/p2/ Entertainment https://server7.kproxy.com/servlet/redirect.srv/sruj/smyrwpoii/p2/ Chaos, mass panic at San Francisco performance or "Hamilton"
There was chaos and mass panic at a San Francisco performance of " Hamilton " Friday night after an audience member suffered a medical emergency, police told CBS News. CBS Sacramento reporter Shirin Rajee was watching the show at the Orpheum Theater when people ducked and ran out of the theater, with at least one person yelling "gun," she reported. Police duty CBS News a woman in the audience suffered a medical emergency at the same time there were fake gunshots on stage. According to tweet from the theater an audience member activated the fire pull station. Members in the audience believed that the two events were connected and began to "self-evacuate." 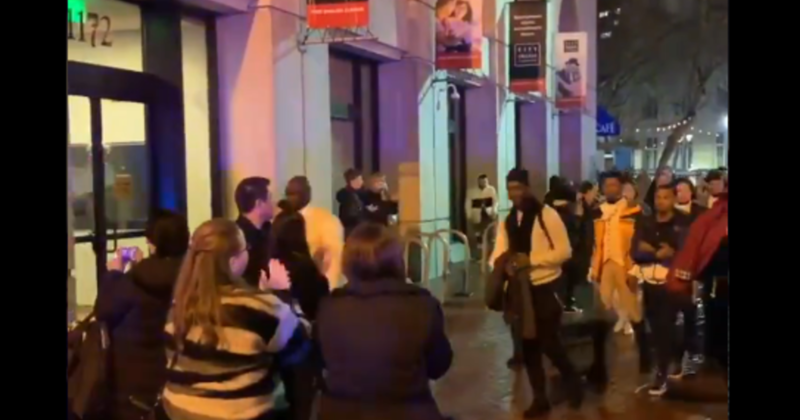 A San Francisco Fire Department security officer was working security at the door and responded when audience members started to evacuate. During the ensuing chaos, people were jumping into police patrol cars, fearing an active shooter, Rajee reported. It's unclear if the show went on. The theater tweeted the audience and followed the life / safety system's automatic announcement and exited the theater.